A Palette Gear kit is designed to speed workflow and reduce ‘cursor cramps’ through its customisable hardware modules. Typically sitting alongside your keyboard, a Palette Gear kit contains any number of individual modules, including sliders, buttons and multi-function dials. 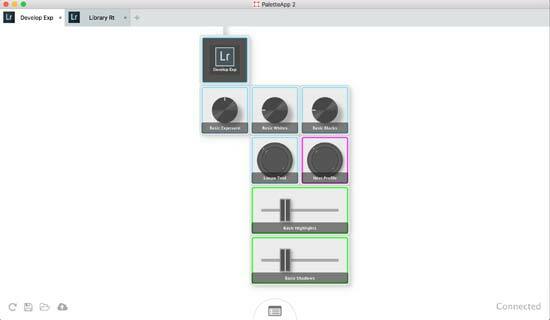 Modules are placed together to taste and used to make photo workflow and editing adjustments. A Palette Gear kit is not restricted to photo software and the modules can be used as controllers for gaming, among other things. Modules placed together essentially emulate a MIDI controller, of which there are quite a few existing offerings available. A MIDI controller is a singular and typically larger unit that includes multiple sliders, buttons and dials. The Palette Gear Kit appears to be more flexible than a MIDI controller, in that you build your own kit in the way you like. 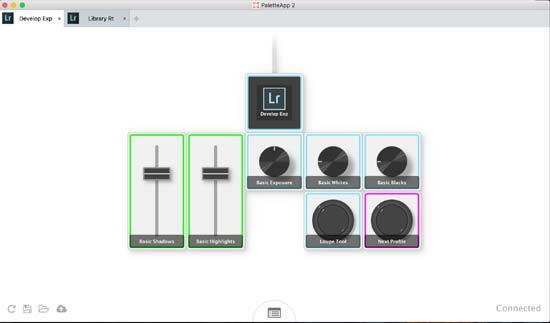 What is more, Palette Gear uses its own software that is compatible with a numerous apps, including much of the Adobe Creative Cloud Suite, whereas a MIDI controller would make use of a third party software. Let’s have a look at how a Palette Gear kit works for photo editing. 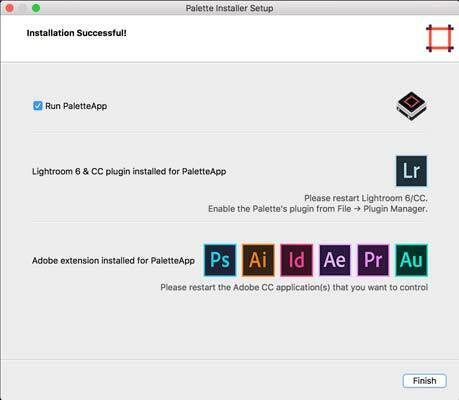 Palette Gear kits are compatible with Mac and PC and can be used with most of the apps in the Adobe Creative Cloud suite, plus a handful of other software. 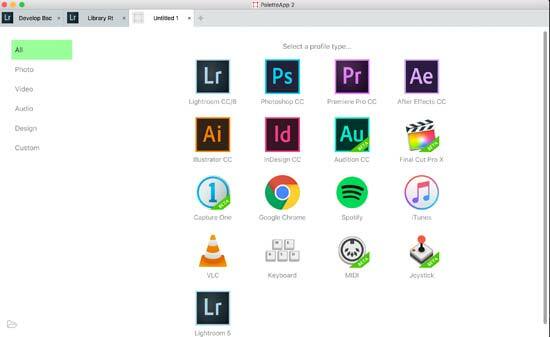 Compatible profiles are as follows; Adobe Lightroom 5, Lightroom 6, Lightroom CC, Photoshop CC, Premiere Pro CC, After Effects CC, Illustrator CC, InDesign CC, Audition CC, Final Cut Pro X, Capture One Pro, MIDI, Joystick, Keyboard, plus extras such as Google Chrome. Not all MIDI controllers are compatible with such a variety of Adobe software like a Palette Gear kit. We had our hands on the ‘Expert Kit’, which comprises 1 core and 7 modules. There is also a Beginner Kit and a Professional Kit, while individual modules can be purchased separately. The ‘PaletteApp’ software (Version 2) is required to customise the modules and is available as a free download via the Palette Gear website. Once installed, you attach the Palette Gear kit ‘core’ via USB, which is then automatically detected in the software. Each module can be attached to the core in a personalised set up, as you can see in our pictures. Again, the modules are automatically detected whichever way they are connected to the core. 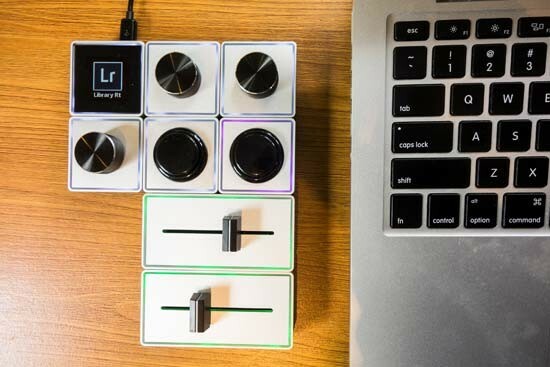 There are no batteries required for a Palette Gear kit, it is powered through the USB connection to the computer. Multiple profiles can be created for the software of your choice and in each profile the modules can be manually assigned specific functions. For our test of the Palette Gear Expert Kit, we have focused on using it with Adobe Lightroom CC. Our computer is a MacBook Pro Retina with macOS Sierra 10.12.5 operating system, 16GB ram and 2.7 GHz processor. Professional Kit $499.99 / £549.95. Included: 1 core, 4 buttons, 6 dials and 4 sliders. Palette Gear is available in the UK via Wex Photographic.